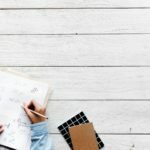 MM 01: What is a maker mindset? 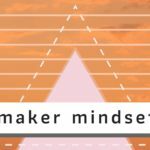 updated on January 7, 2019 January 7, 2019 by Rebecca @ The Lucky SproutLeave a Comment on MM 01: What is a maker mindset? The inaugural episode of the Maker Mindset Podcast is here! In this quick introduction to the show, I’m talking about what a maker mindset is to me, and hitting a few other fun subjects like interdisciplinary work, remix culture, and the importance of community. Remix culture is all about putting different things in a box, shaking them around, and seeing how they stick together. You can access the show on Spotify, Libsyn, or through the RSS feed. You can also listen to it right here on this page! Just use the player below. Note: we’re still waiting to get processed on iTunes. This page will get updated as soon as it’s available! If there’s another app that you want to see this podcast on, just let me know in the comments.